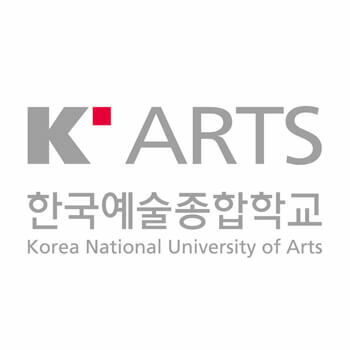 The objective of the Art Major Asian(AMA) Scholarship Program is to support students with artistic talent to conduct advanced studies and ability in Korea National University of Arts in order to promote international exchanges in education and mutual friendship between the countries. La convocatoria se realiza habitualmente entre los meses de marzo y mayo del año anterior al de inicio de la beca. -Have graduated or be scheduled to hold a high school/university degree by 28th Feb 2020. 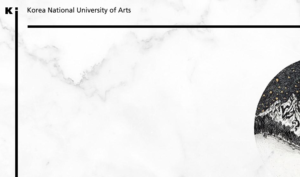 * Applicants who apply for the master’s program must hold a Bachelor’s degree or a diploma that is equivalent to or higher than a Bachelor’s degree. * Applicants who are expecting to graduate by 28th Feb 2020 must submit a certificate of expectant graduation when apply, and submit the official certificate of graduation (degree or diploma) to Karts no later than 28th Feb 2020. -Have adequate health, both physically and mentally. -Have no limitations in travelling abroad. -Have outstanding artistic talents, gifted skills and an excellent academic record. -Applicants should submit at least 3 recommendation letters. One recommended by the government, ministries, and diplomatic organizations, rector of public educational institution and/or head of government approved organizations could receive additional admission points. -Applicants should enter to Korea by November 2019 and take Korean language training. * Applicants who hold TOPIK level 6 and prove reasonable schedule could be exempted by an agreement with AMA manager. -Specific Qualification, Portfolio and Requirement by each department and major. Airfare : The grantees will receive an airplane ticket between their country and Korea economy class, for entrance and graduation. Monthly Allowance: 800.000won (KRW) per month. Korean Language Training :4-month intensive language training before entrance-full coverage.